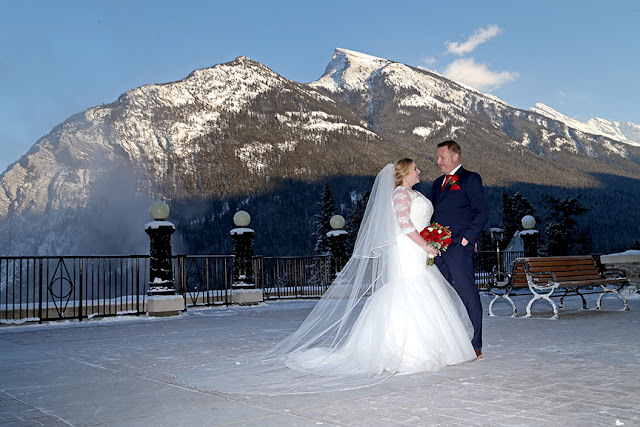 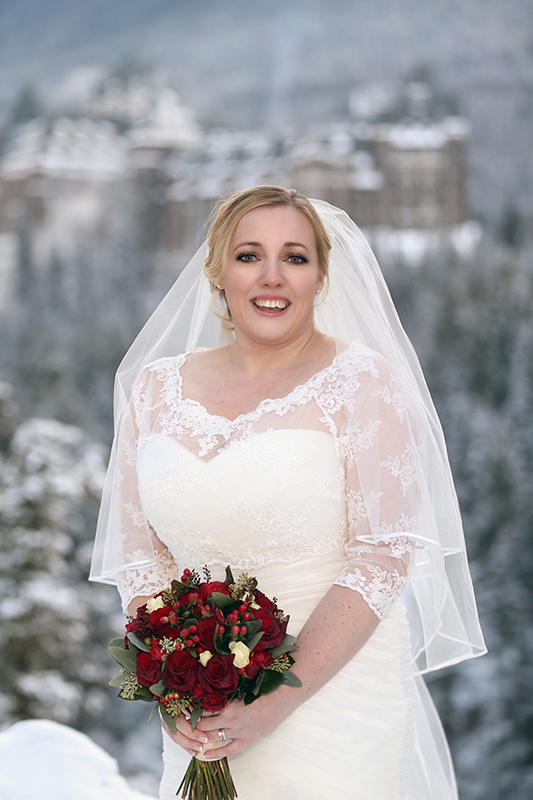 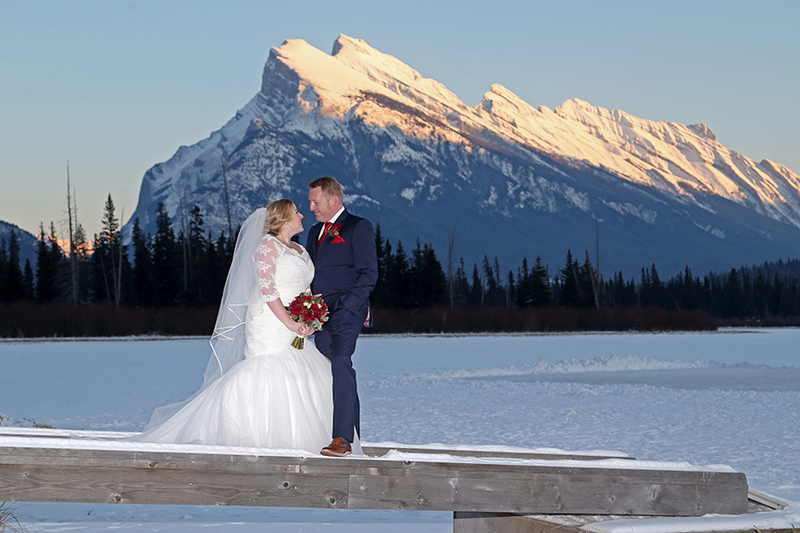 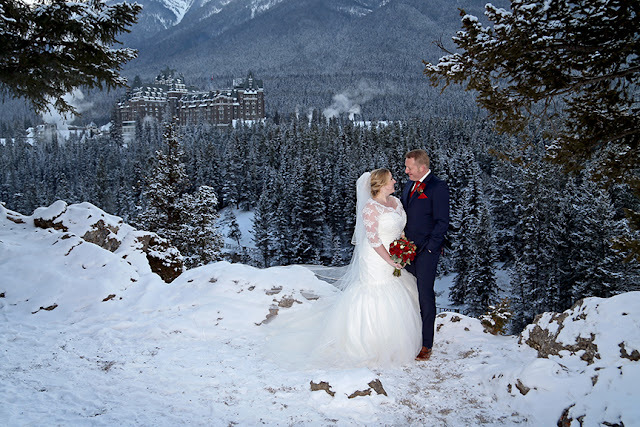 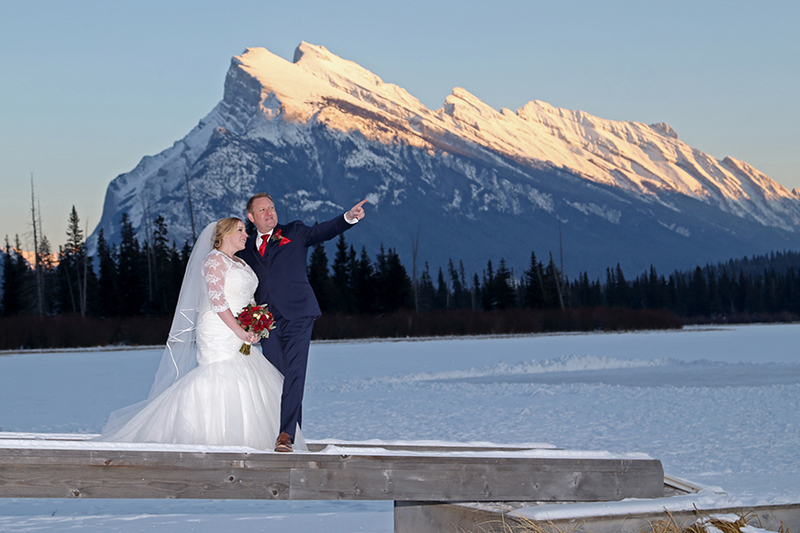 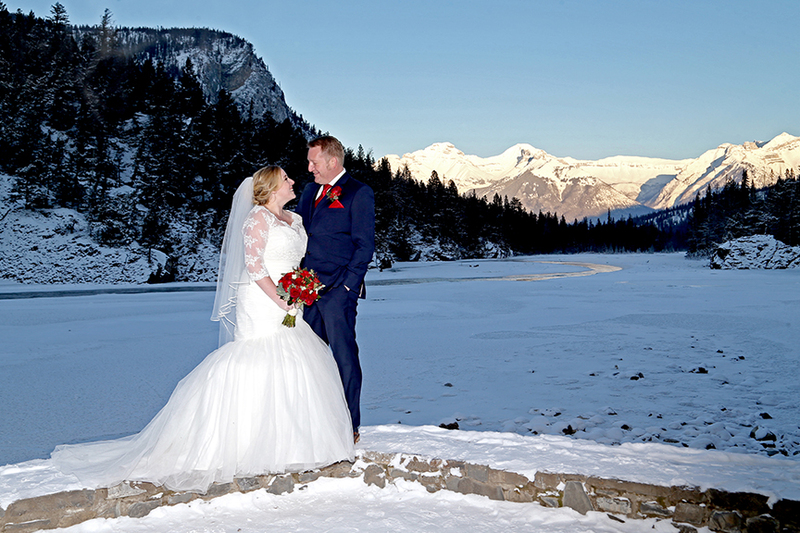 in the Canadian Rocky Mountains, it was so romantic! 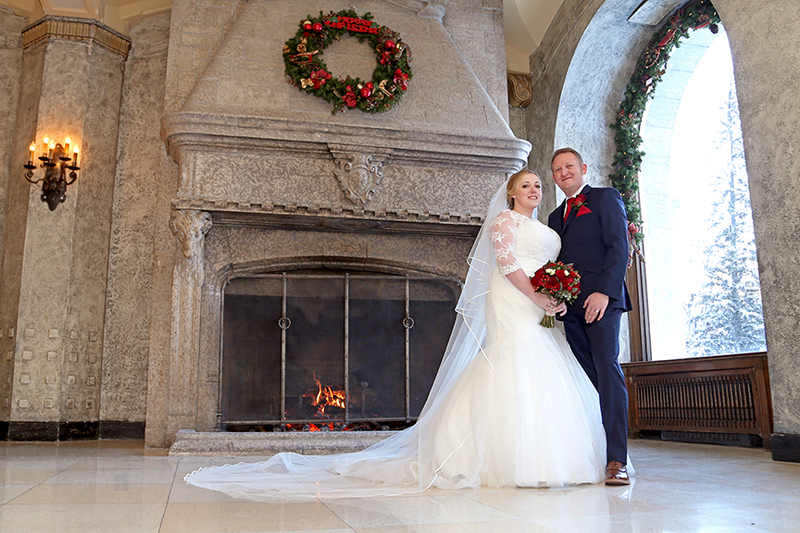 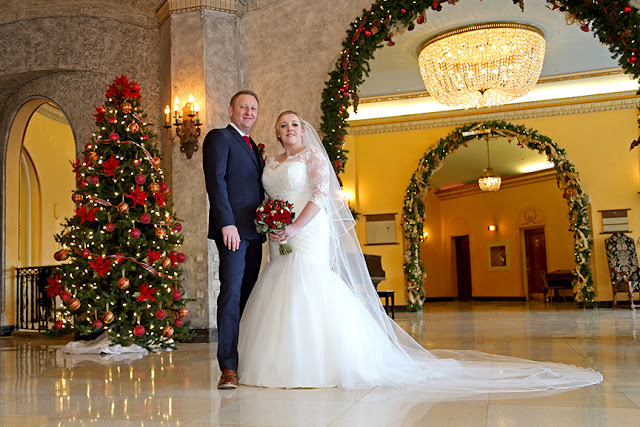 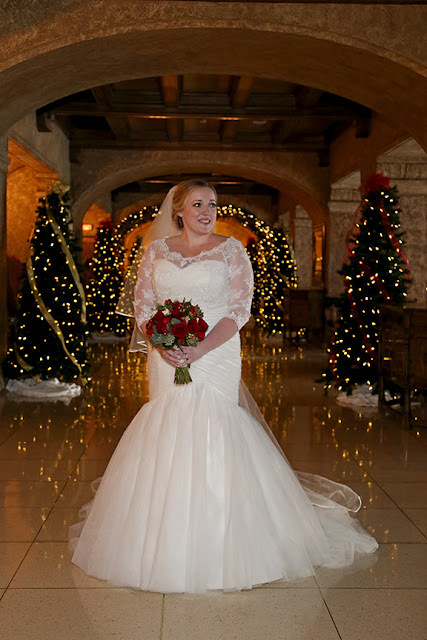 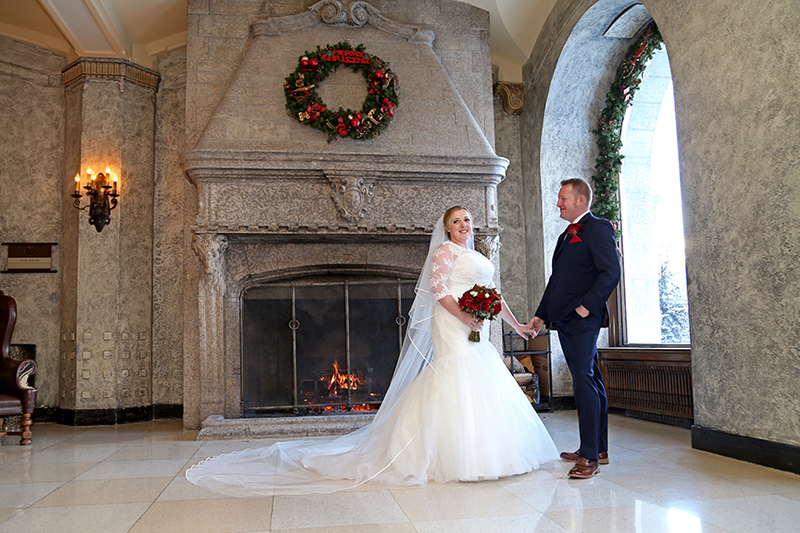 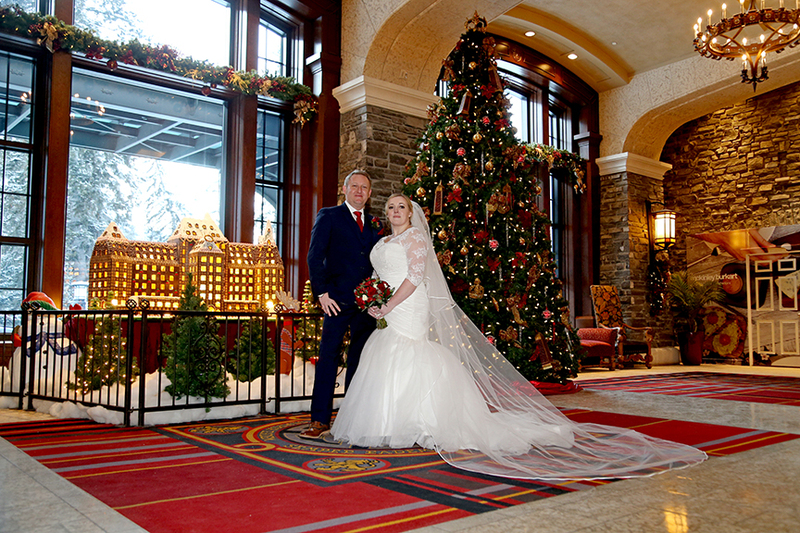 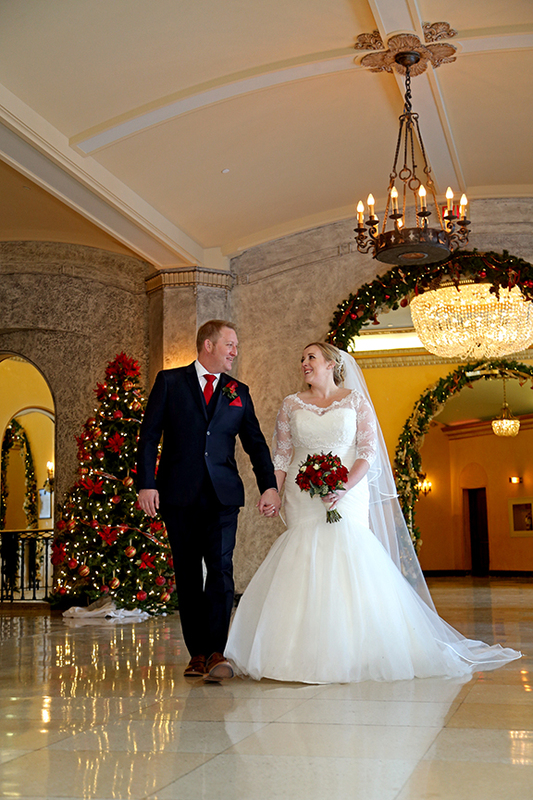 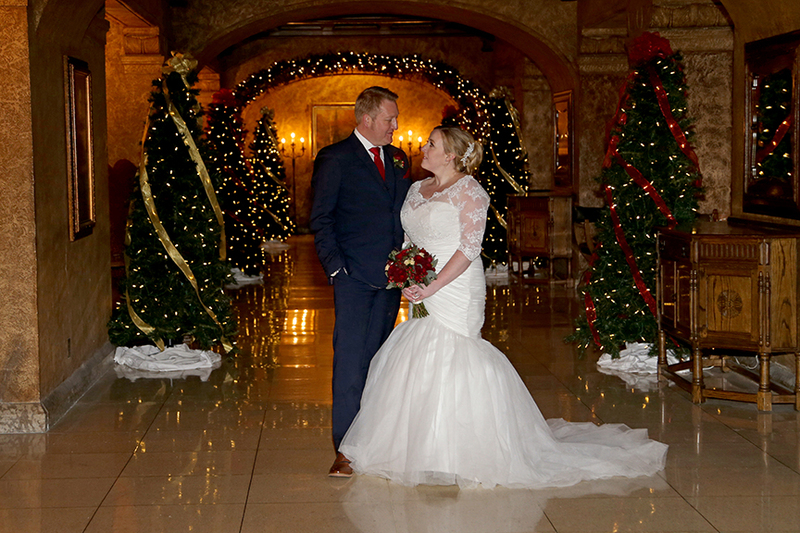 wedding and at Christmas time the hotel is absolutely beautiful with all the festive decorations. 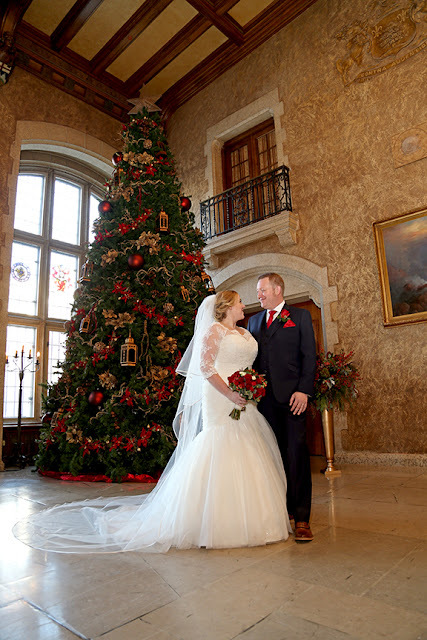 it is a replica of the 'castle' and quite amazing! 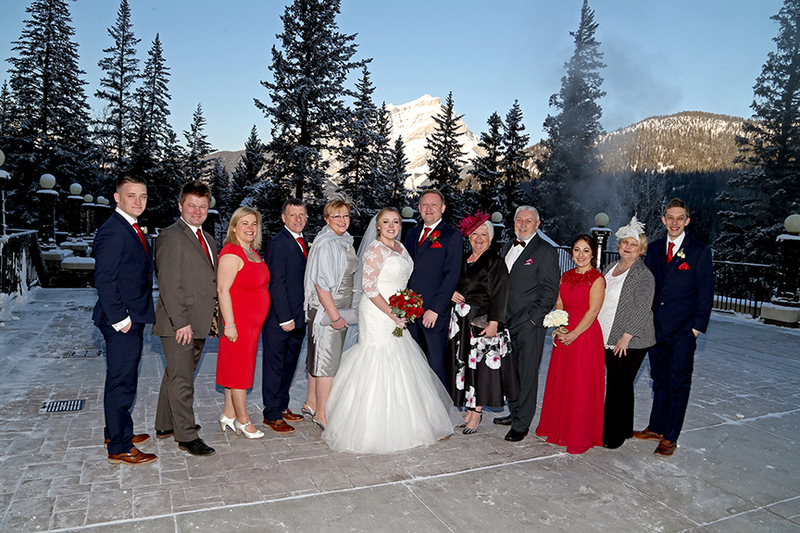 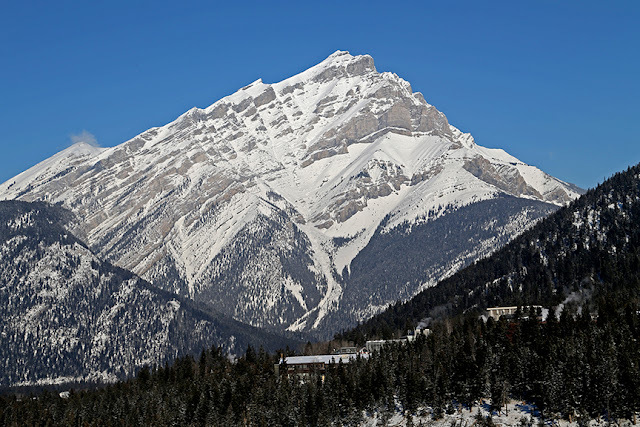 It was a perfect day in Banff, cold (minus 20 degrees C) but stunning! Luci looked beautiful, her dress was gorgeous. 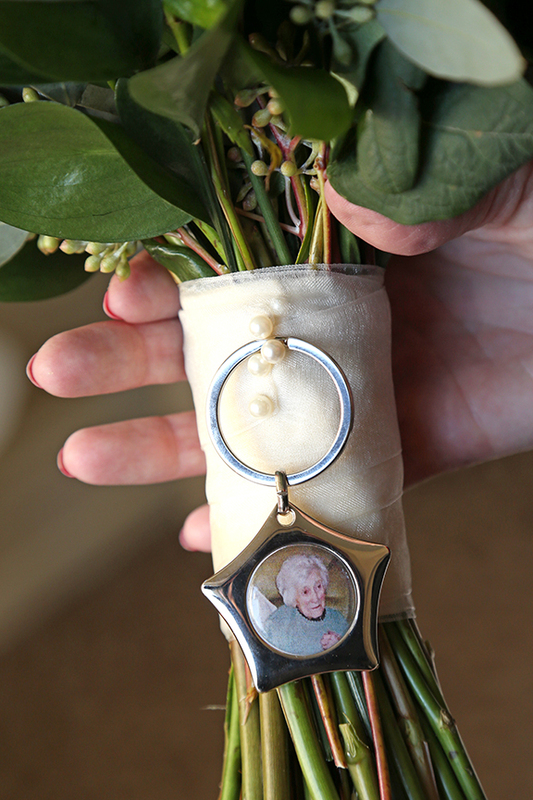 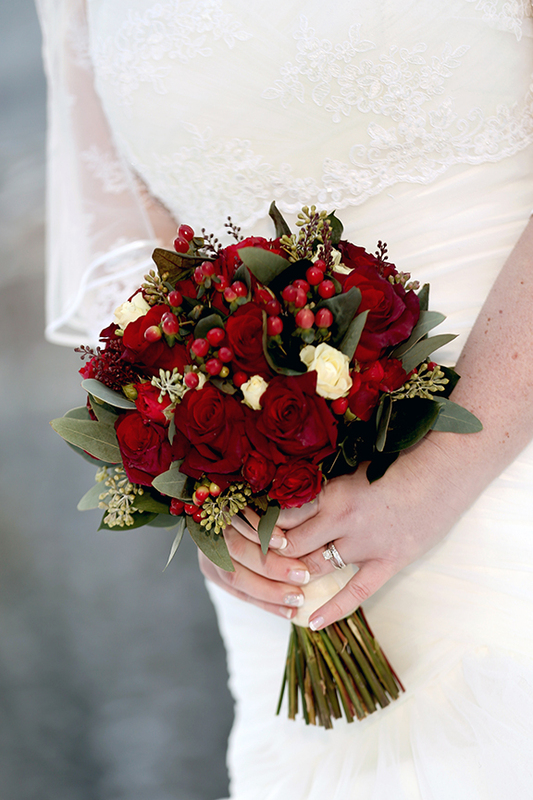 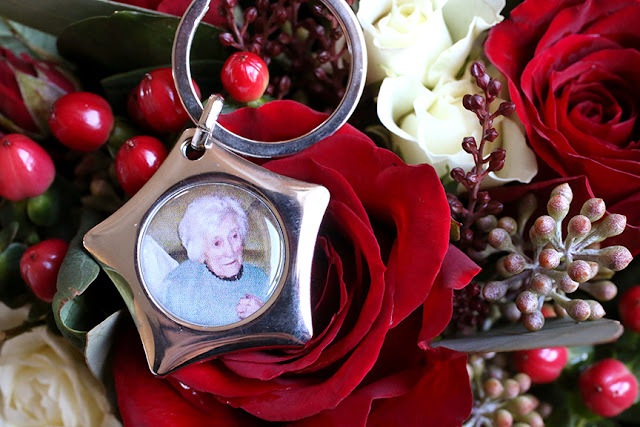 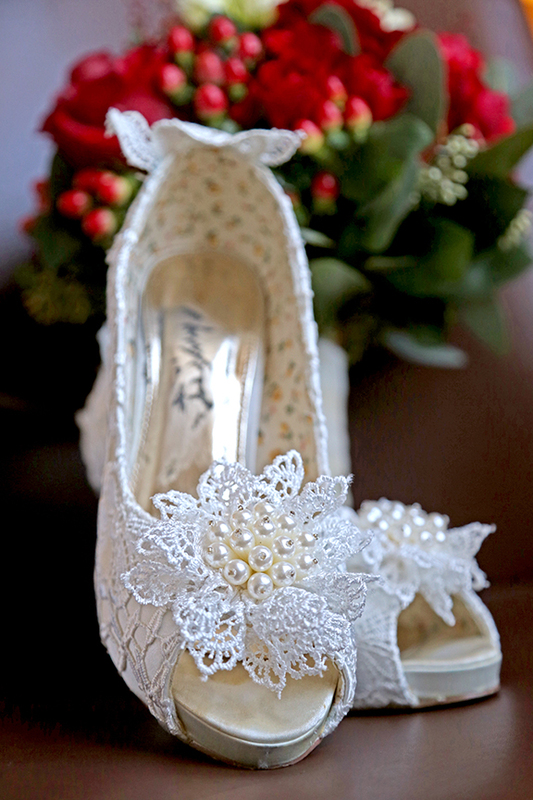 Luci had a photo of Nanna beautifully framed in a charm attached to her bouquet. Luci & Jamie had gifts for every one, and we were able to capture dad opening his. 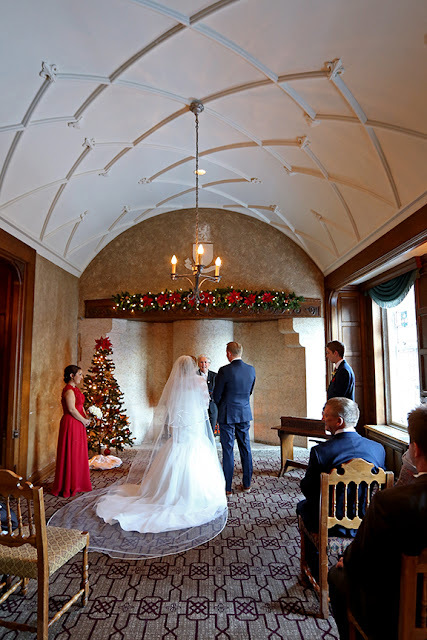 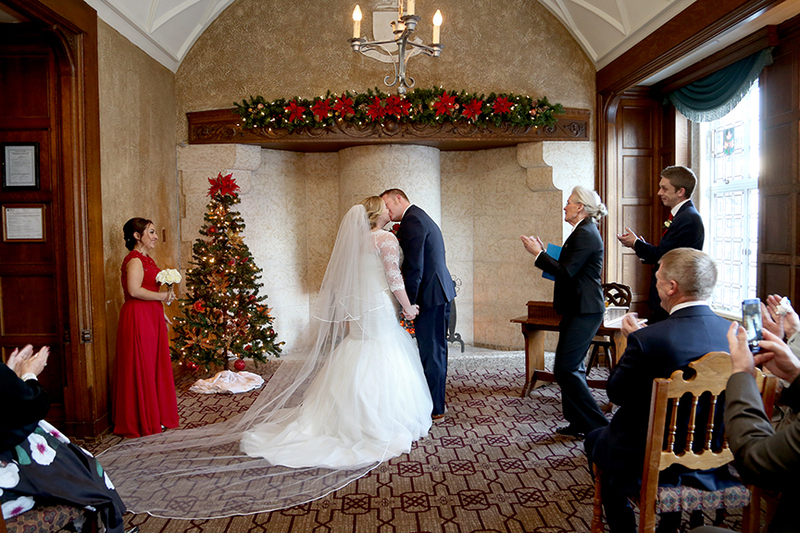 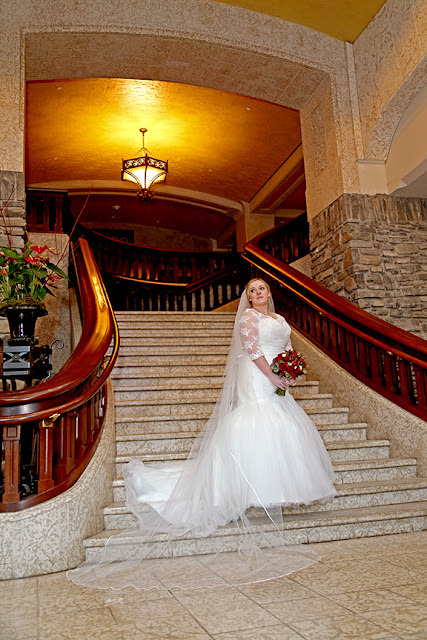 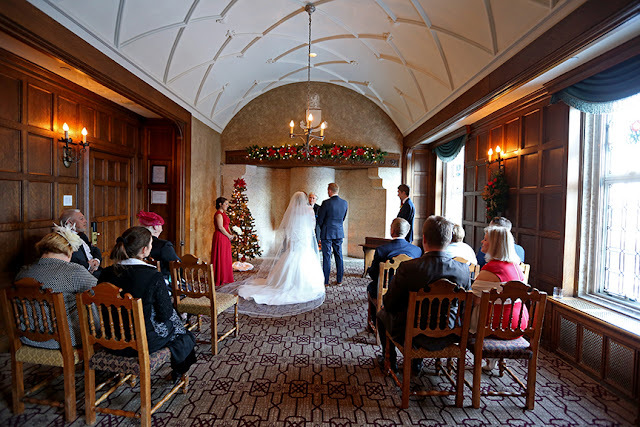 The ceremony was held in the Angus room. 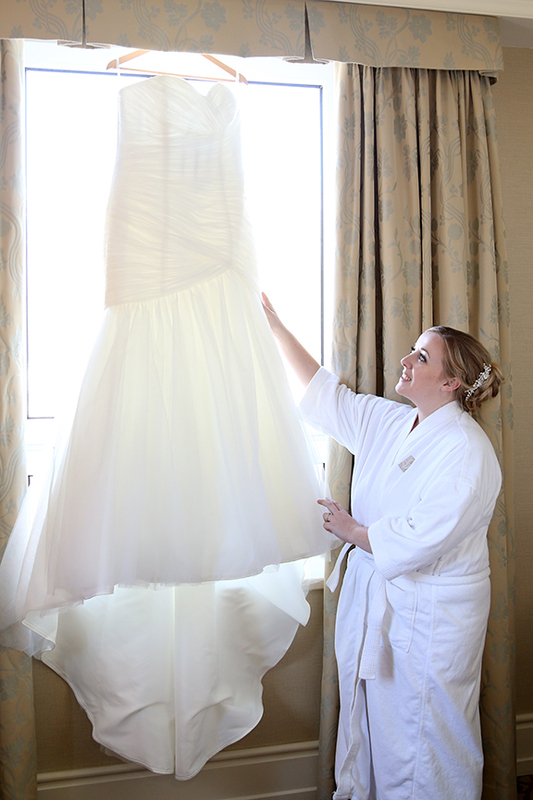 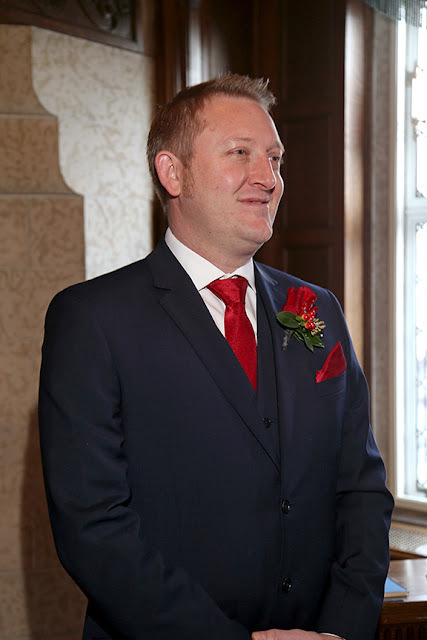 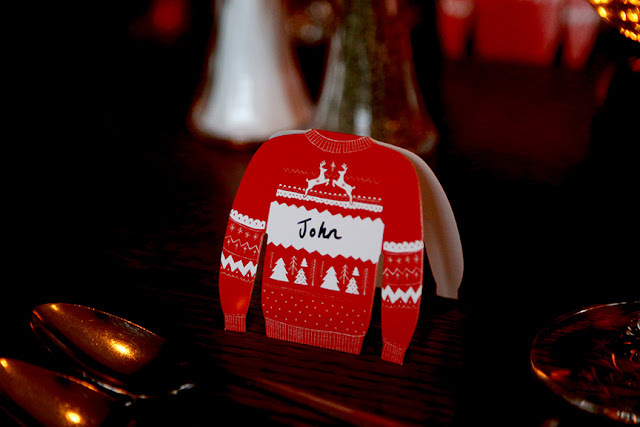 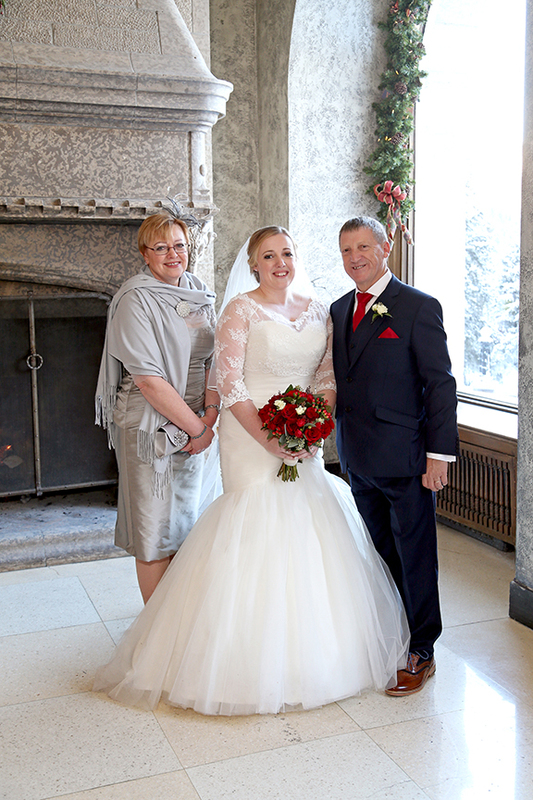 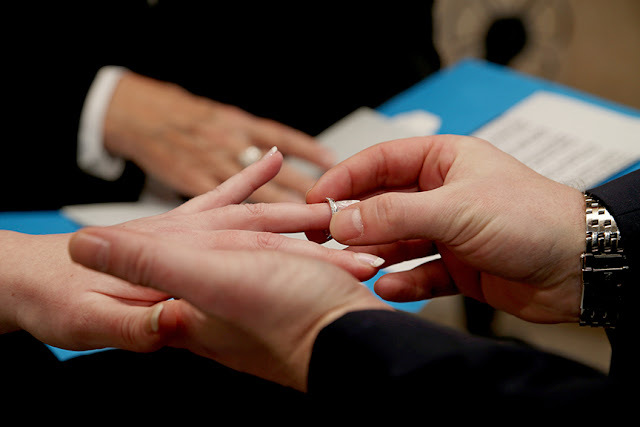 "It was our daughters wedding and as parents we wanted this to be a special time. 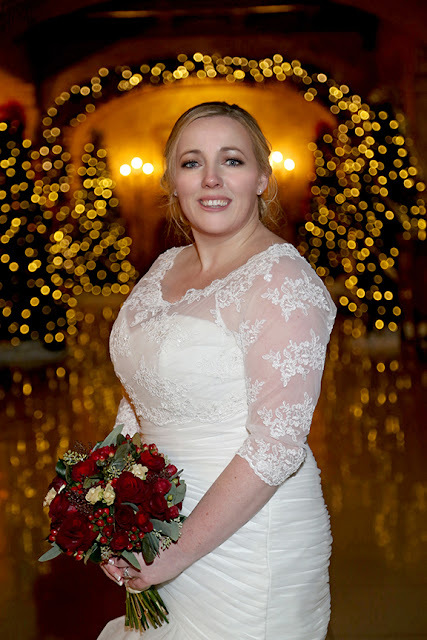 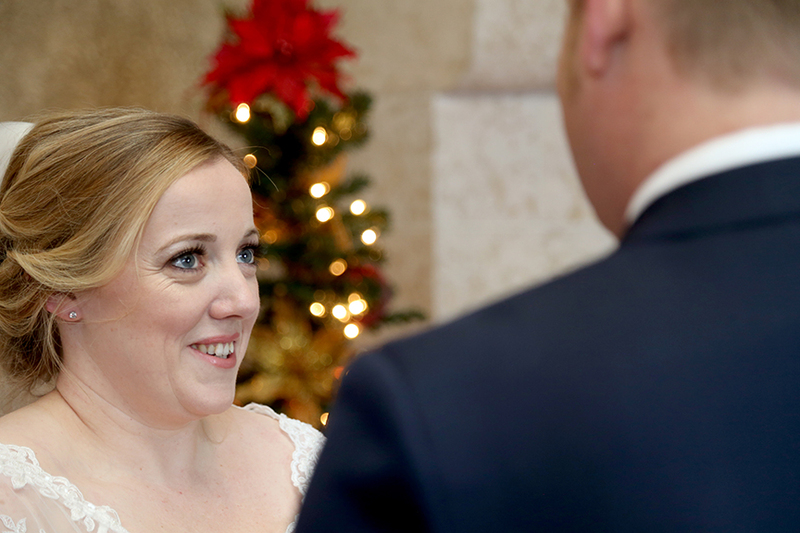 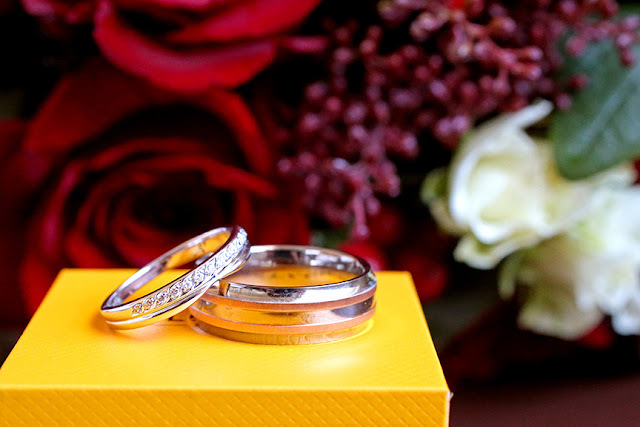 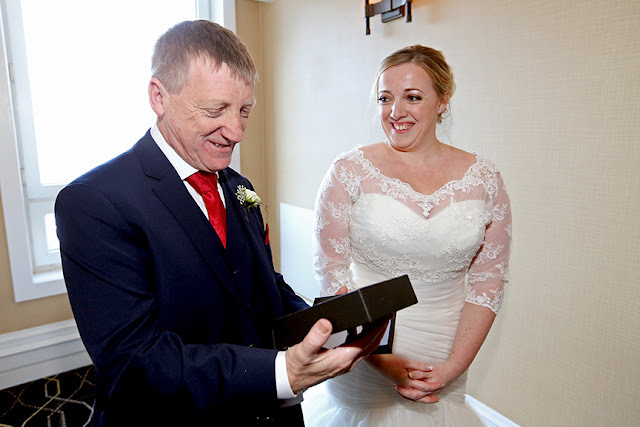 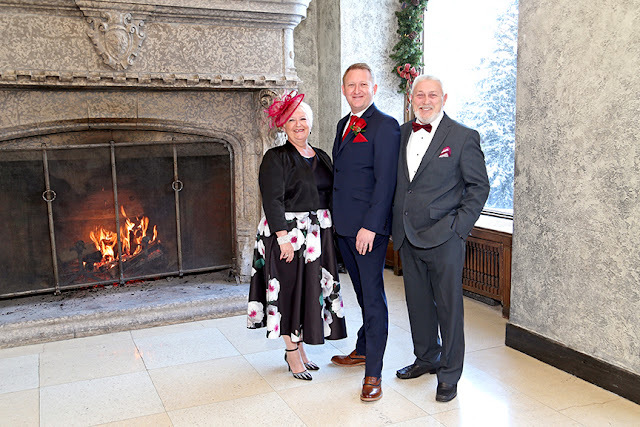 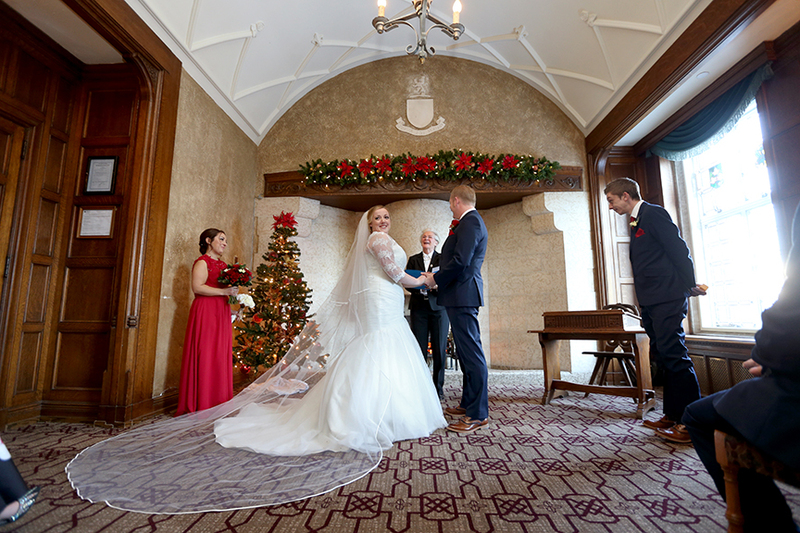 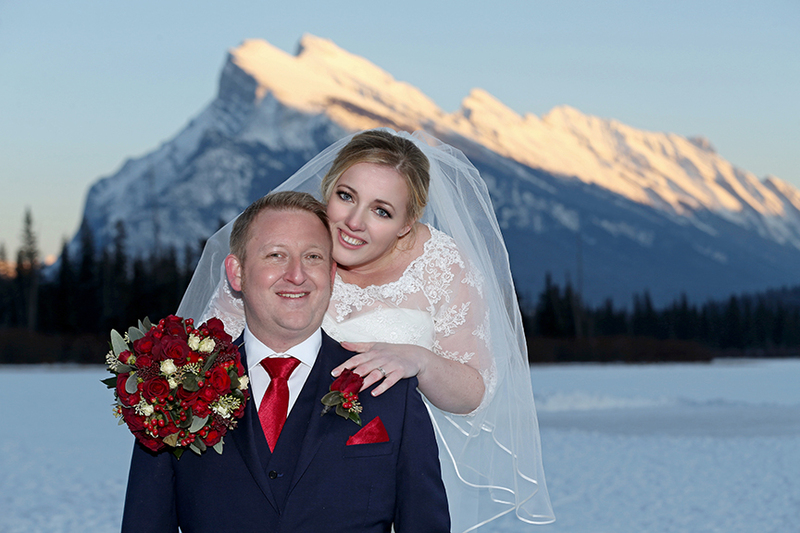 As we were all traveling from the UK and Luci and Jamie commissioned Sharon to organise their wedding we didn't know what to expect, but our expectations were greatly exceeded because the whole event was beyond wonderful. 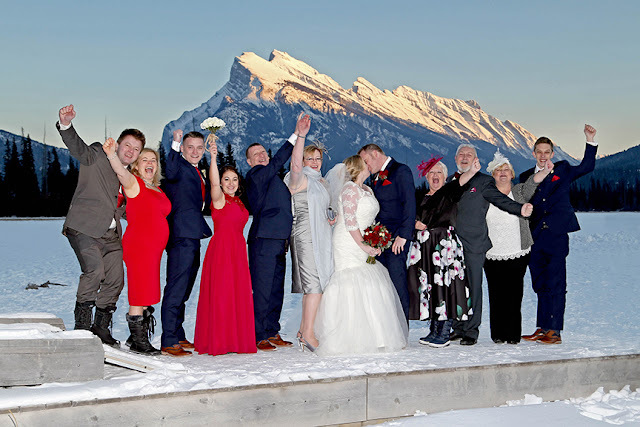 There were twelve of us in the wedding party and we all felt very special. 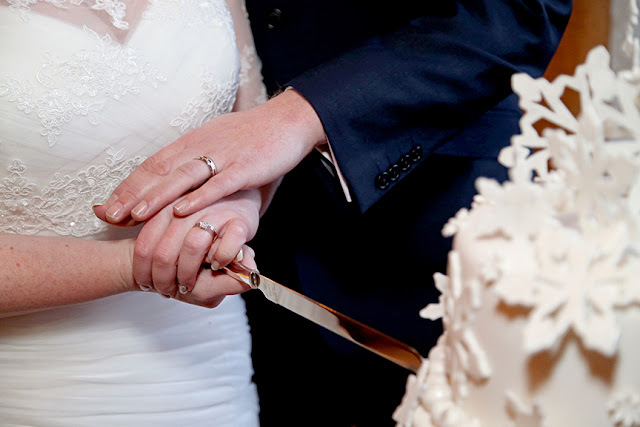 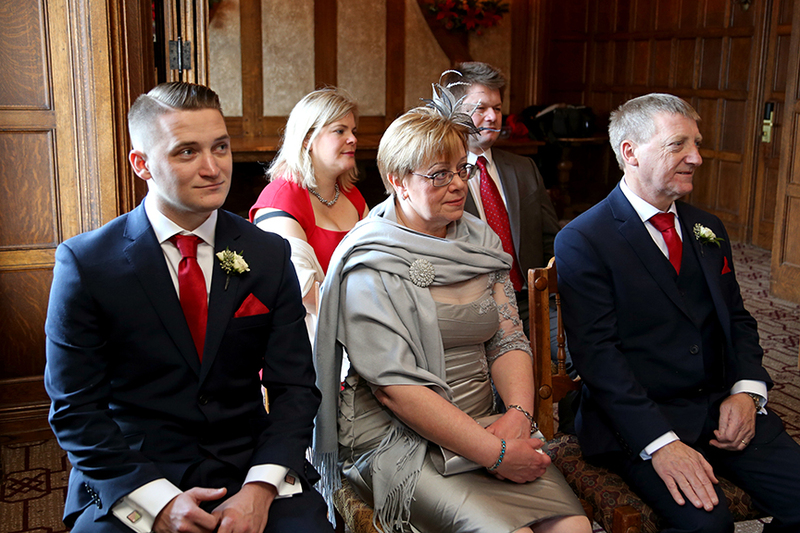 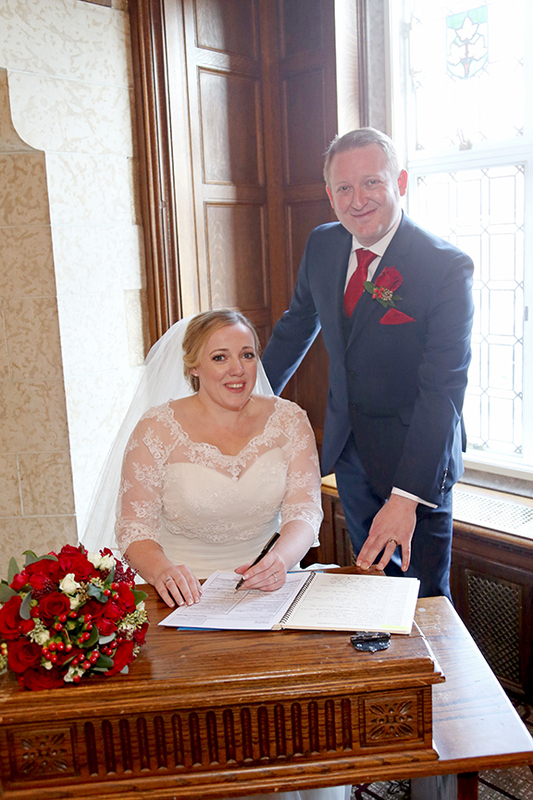 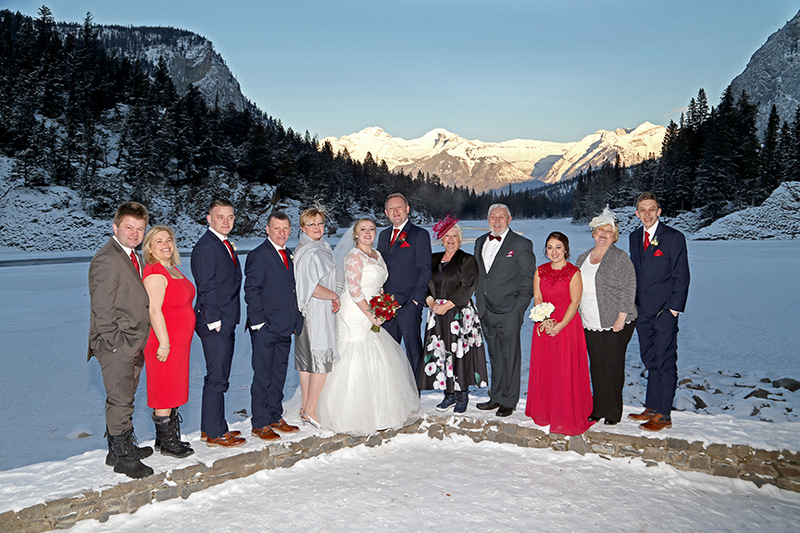 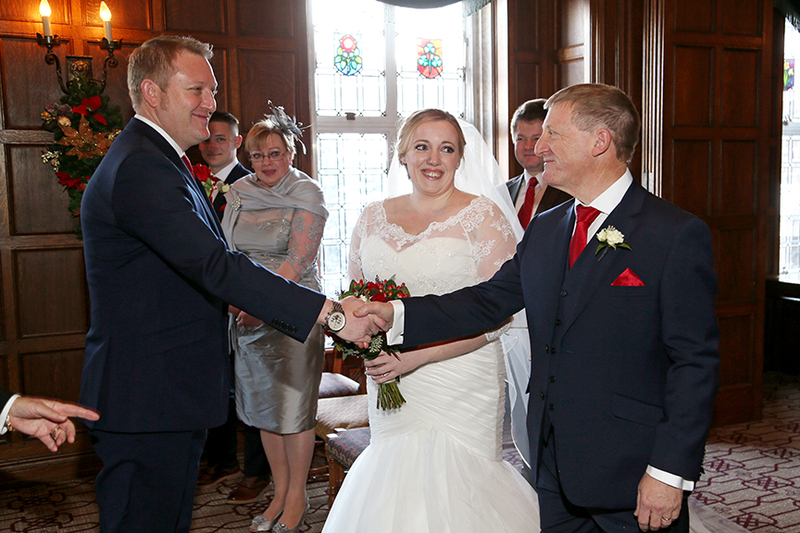 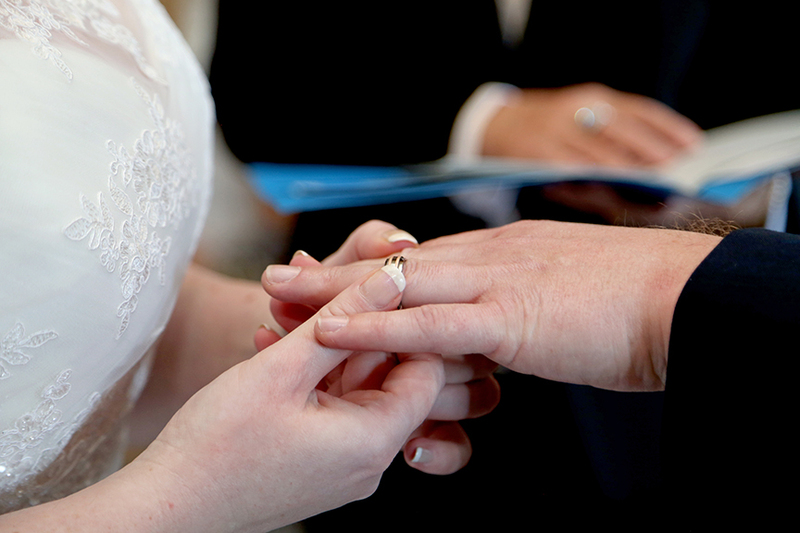 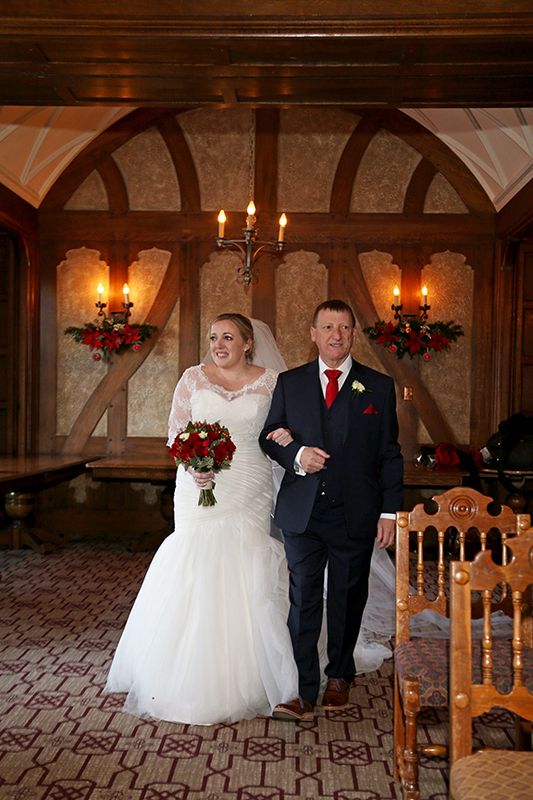 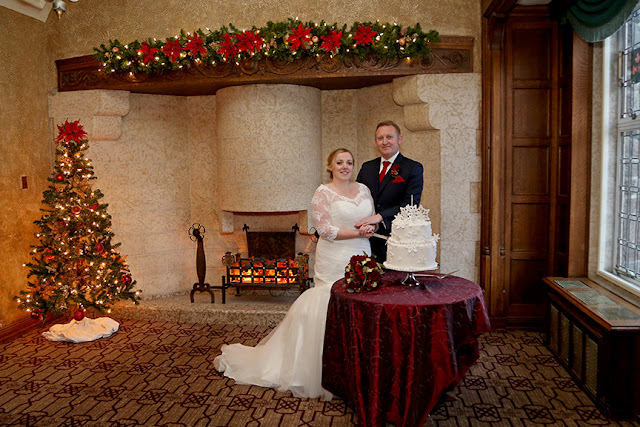 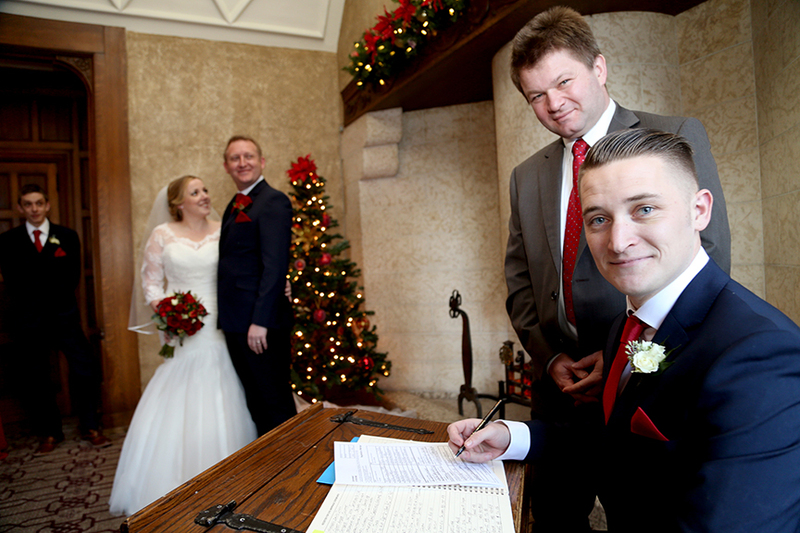 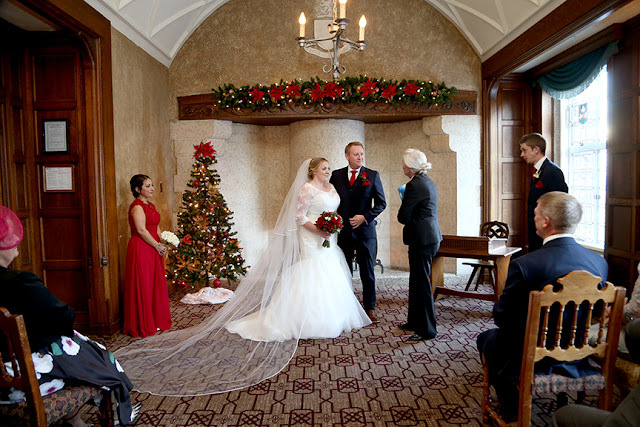 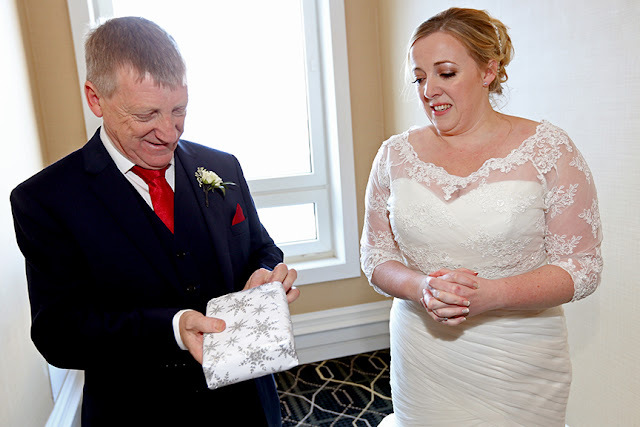 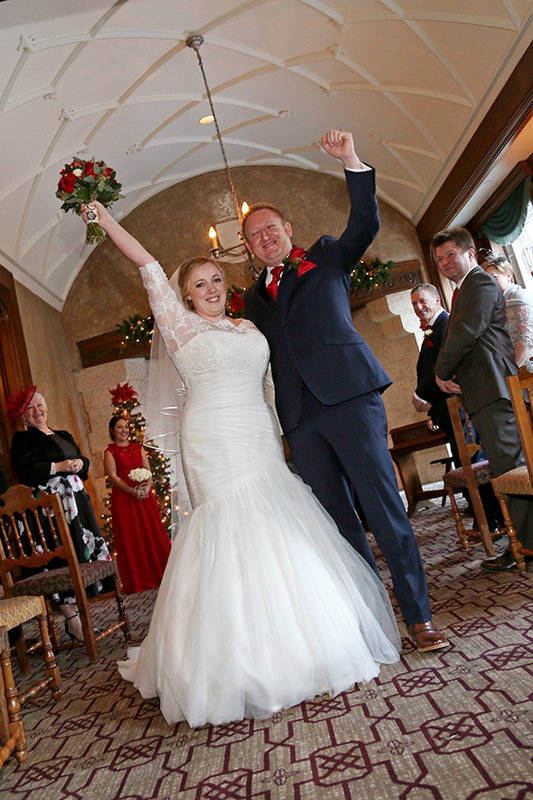 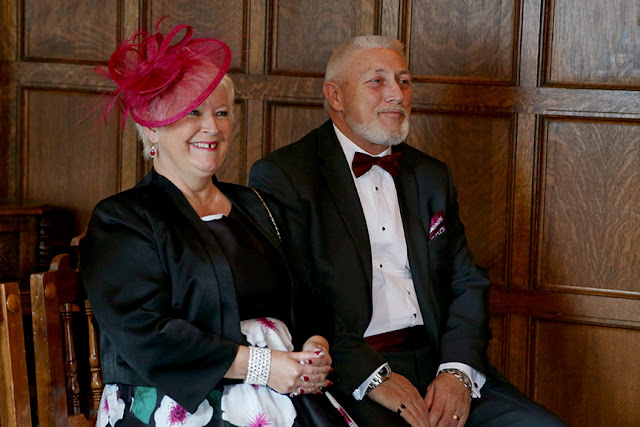 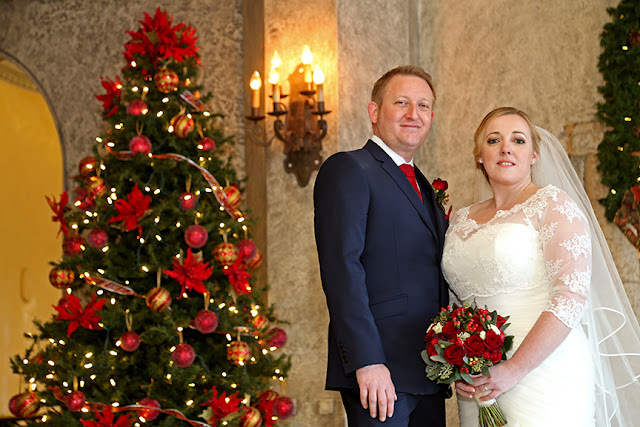 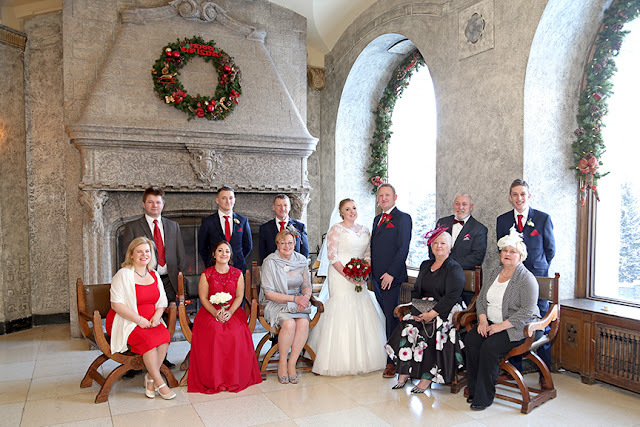 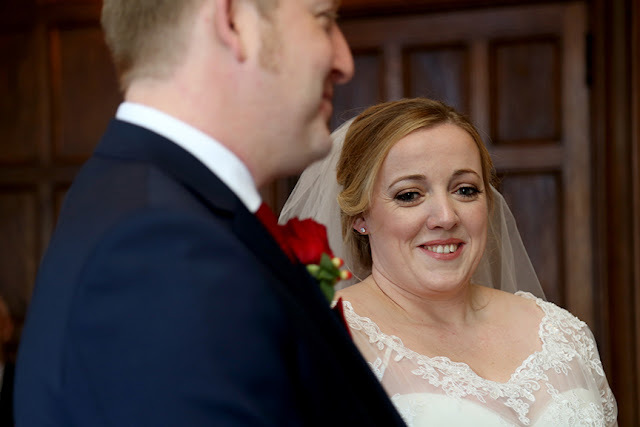 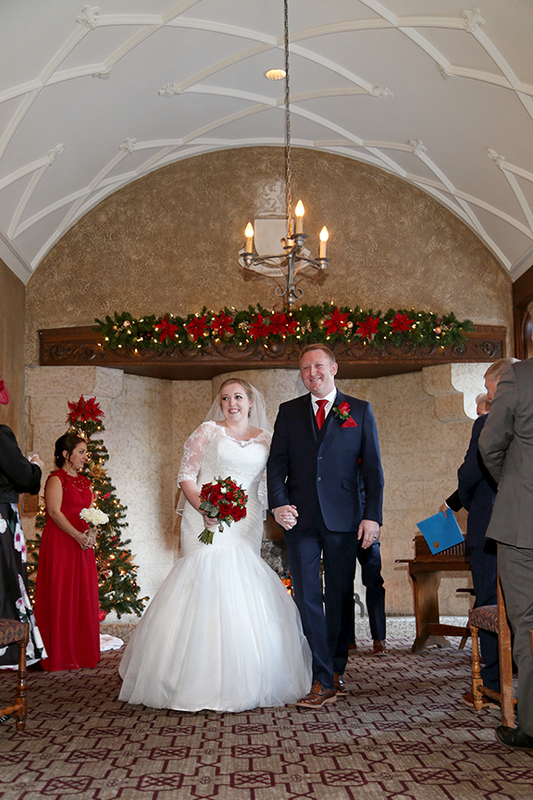 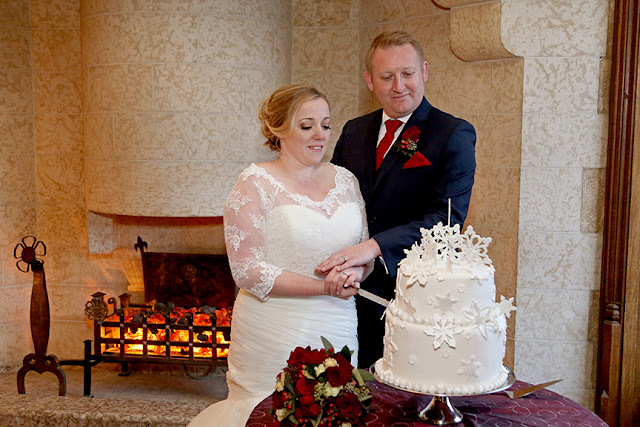 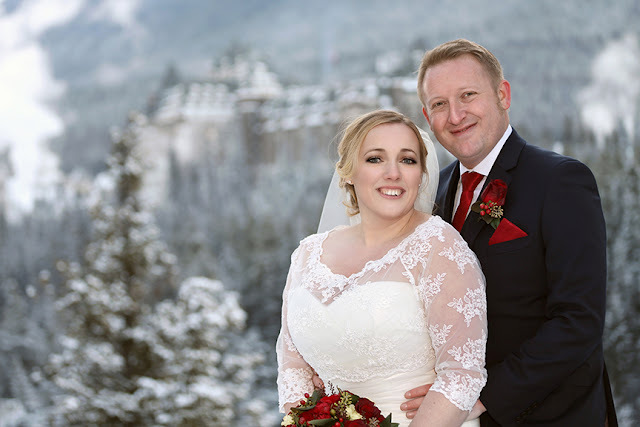 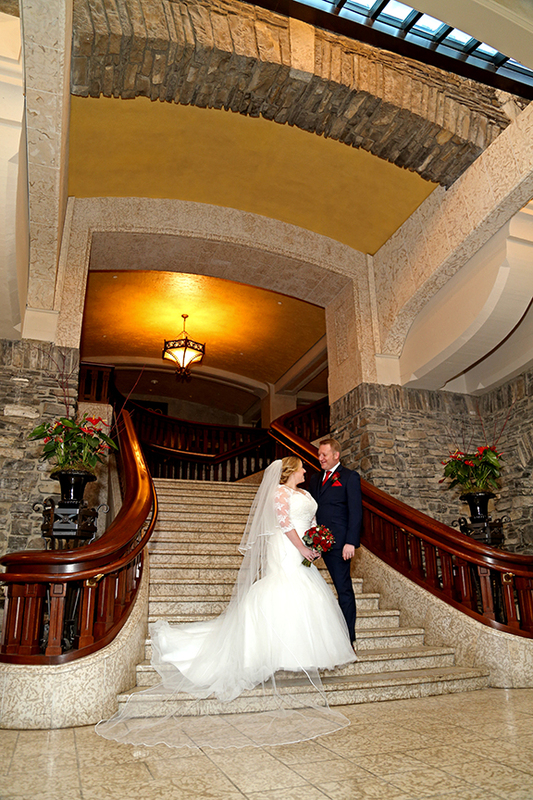 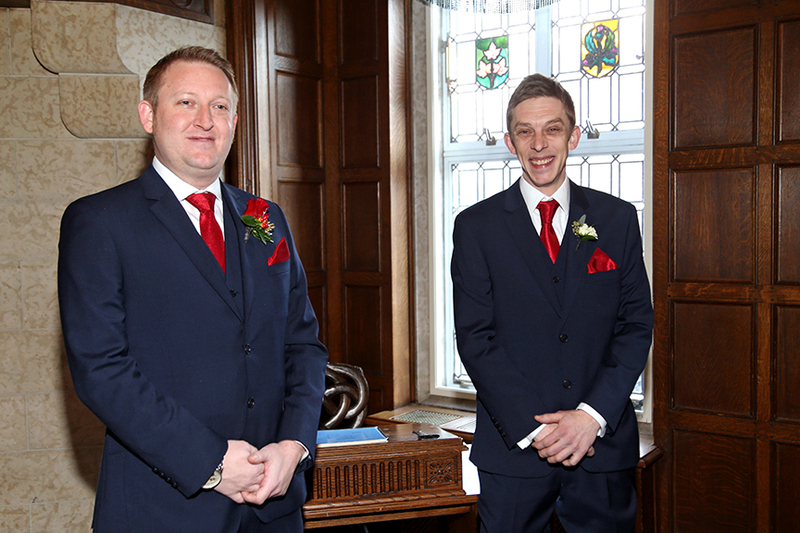 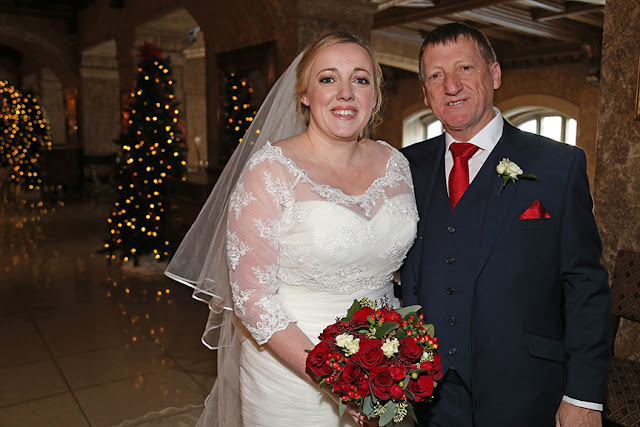 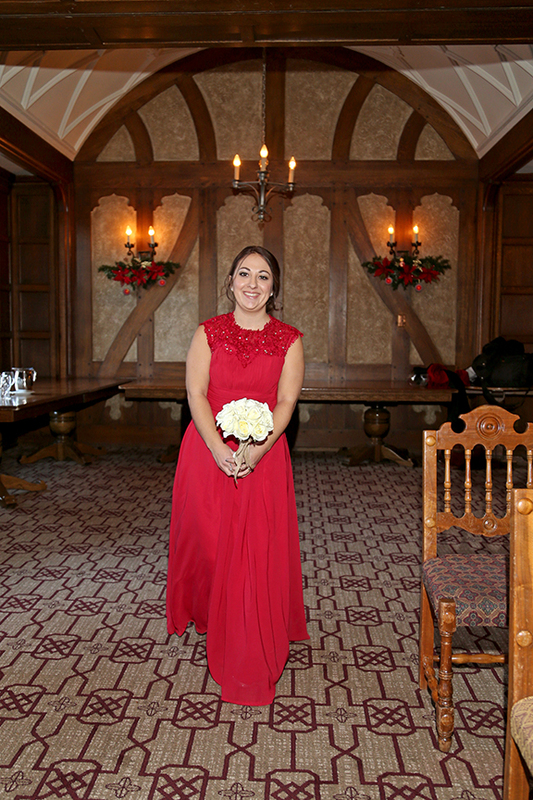 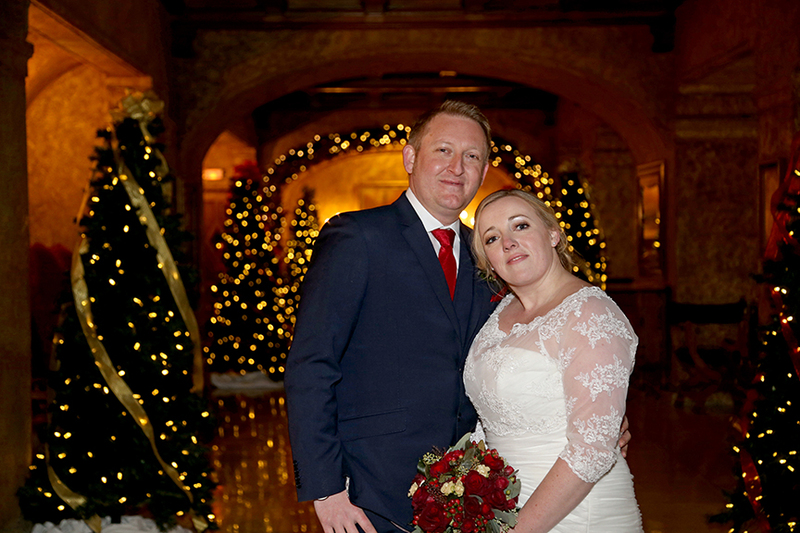 We can highly recommend Sharon and Malcolm and thank them for helping to give Luci and Jamie their dream wedding. The evidence is in our amazing photos". 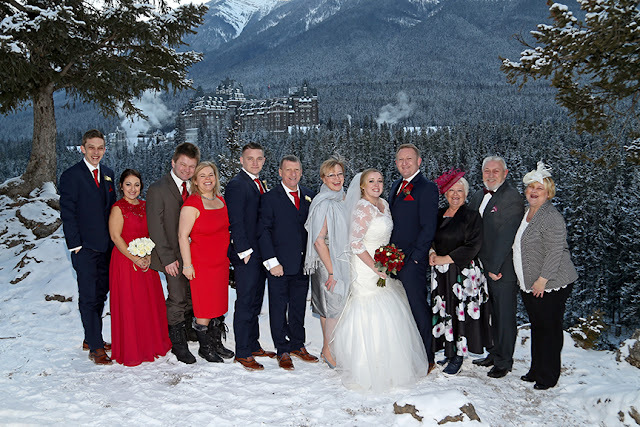 Jamie & Luci's family were lots of fun, and good sports. 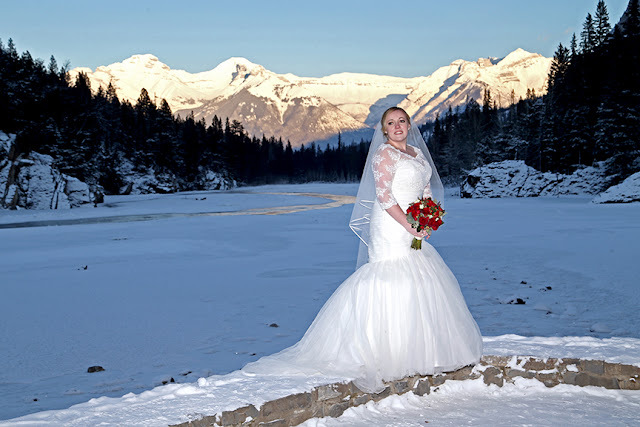 and came to lots of outdoor photography locations with us. 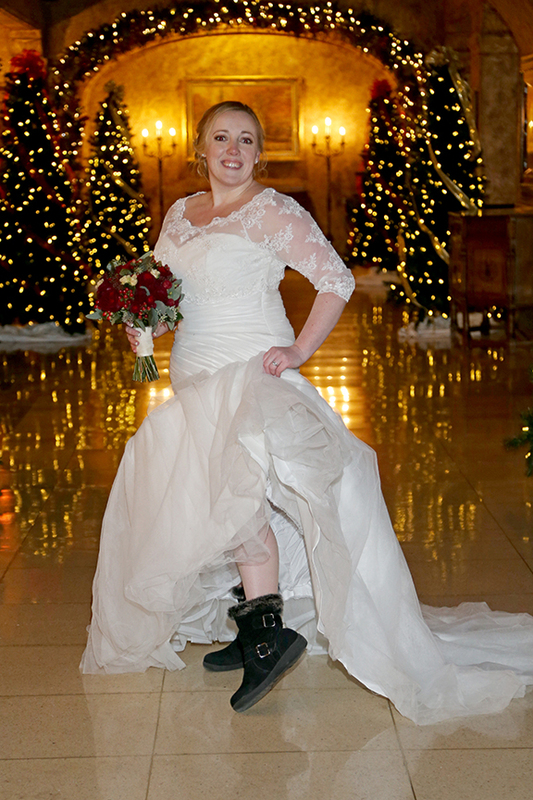 Luci had the perfect boots for her Rocky Mountain Wedding. 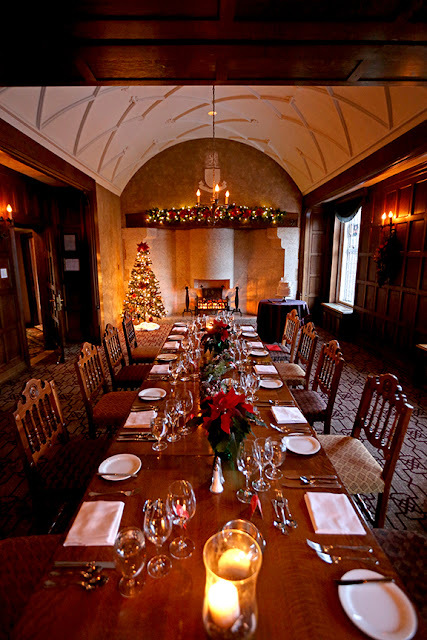 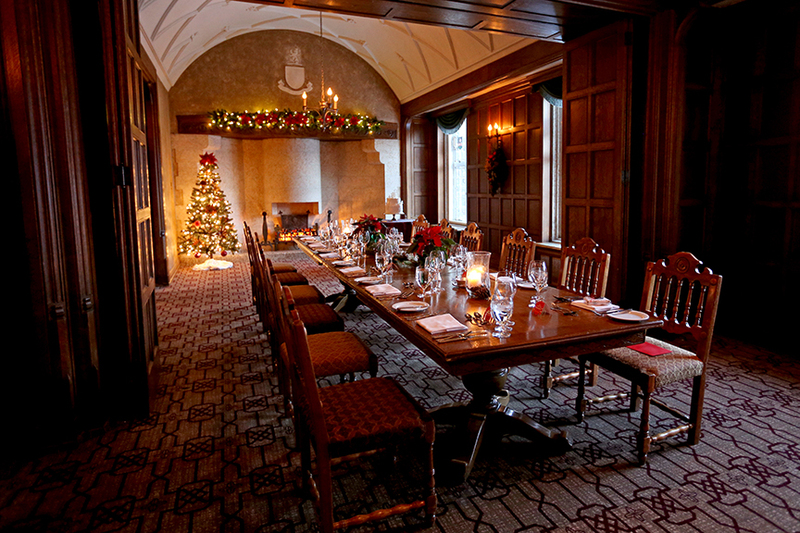 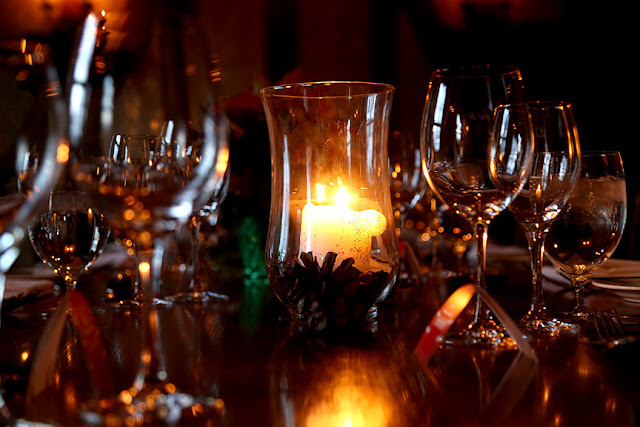 The Angus Room was beautifully set up for their private dining experience. 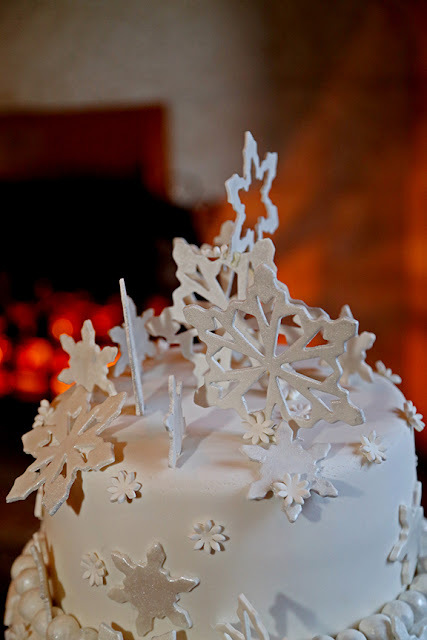 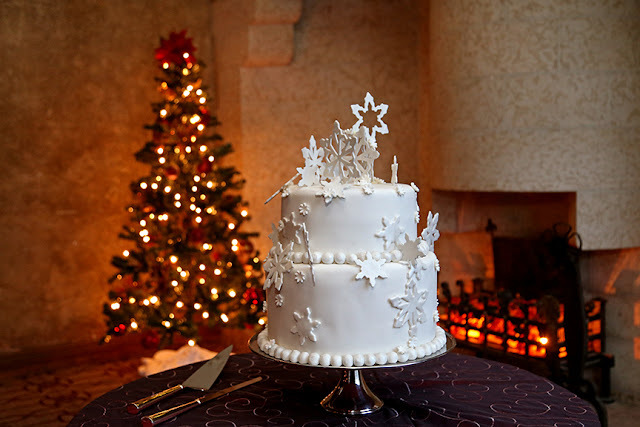 Luci's mom had secretly arranged a wedding cake, what a lovely surprise. 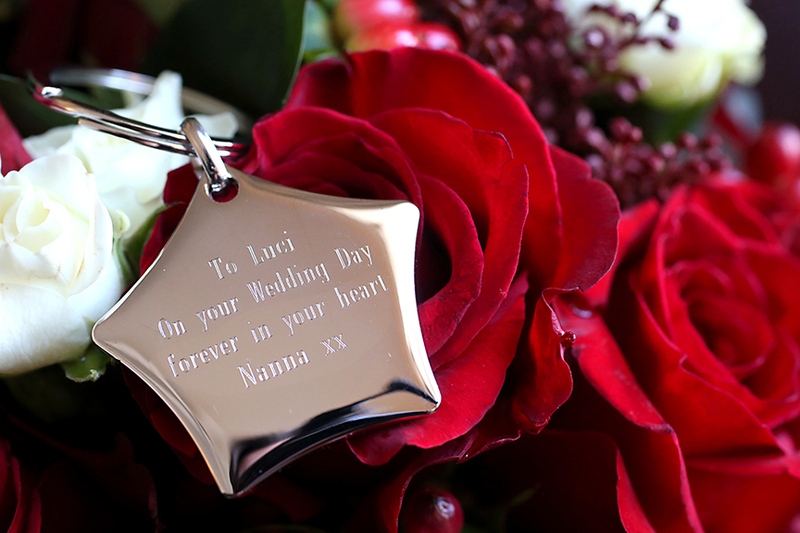 Wishing Luci & Jamie a lifetime of happiness.